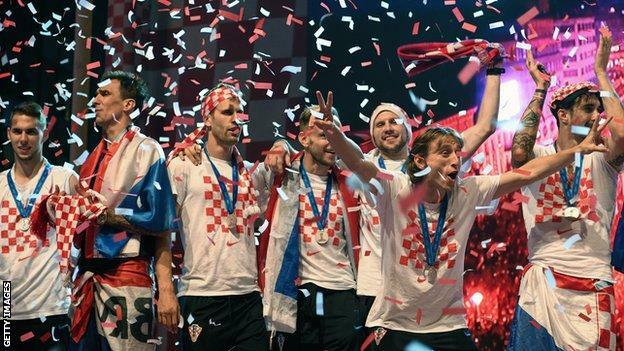 World Cup Runners-Up Croatia received warmly at home…. 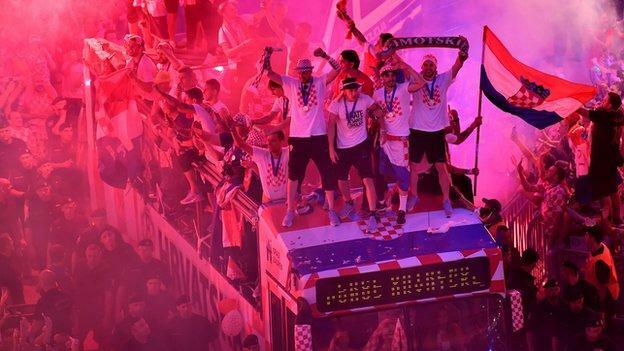 Croatia had a celebratory homecoming after their best finish in a World Cup. 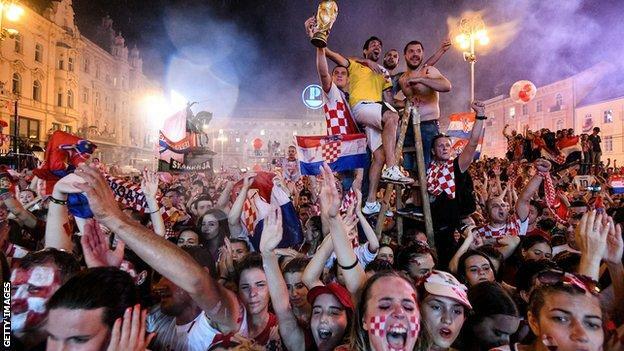 Thousands gathered in Bana Jelacica Square in Zagreb on Monday to welcome the side home. ← Heroes welcome for French footballers, the world cup winners….